Preheat oven to 350-degrees. Combine all ingredients in a bowl and mix well. 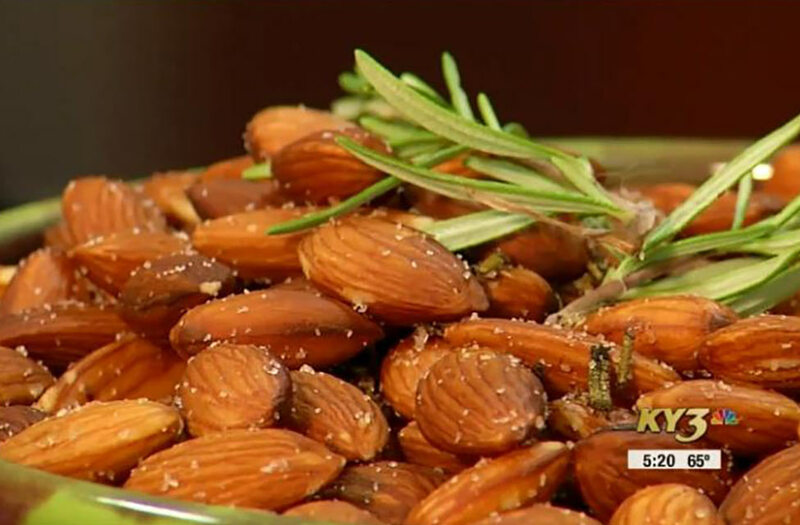 Add seasoned almonds to a baking sheet in a single layer. Bake 8-10 minutes or more, until roasted. Let cool and store in an airtight container. Makes 12 servings (1/4 cup of almonds per serving).